A Twitter user who made a sexist comment about the appearance of Alberta Environment Minister Shannon Phillips has deleted his account. A Twitter user who made a disparaging comment about the appearance of Alberta Environment Minister Shannon Phillips has deleted his account. On Monday night, the user named @markus_politics tweeted: "Is it just me, or is @PhillipsAB getting a bit chubbier?" In response Phillips, who is also the minister responsible for the status of women, suggested the comment was sexist. She tweeted a screen grab of his tweet with a comment, "What women put up with." Criticism of Phillips prompted plenty of feedback on Twitter, with many expressing anger that female politicians have to face these kinds of comments. Phillips is the second Alberta cabinet minister to be recently targeted in such a manner. In late May, Jordan Lien, an executive with the Alberta Progressive Conservative Party, made a disparaging remark on Twitter about the weight of Health Minister Sarah Hoffman. Lien apologized for the Tweet after it came to light. In the U.S., the appearance of Republican presidential candidate Carly Fiorina was attacked by fellow candidate Donald Trump. Fiorina fought back with an ad. "Ladies, look at this face and look at all of your faces, the face of leadership," Fiorina says in the ad, while pictures of women and girls of all ages flash by. "This is the face of a 61-year-old woman. I am proud of every year and every wrinkle." CBC News asked Phillips for an interview on the issue but the request was declined. 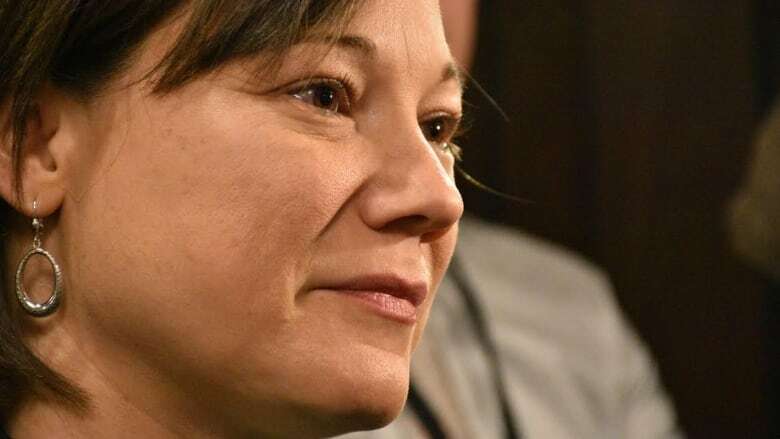 <a href="https://twitter.com/SPhillipsAB">@SPhillipsAB</a> Why women don't want to enter politics. Why we are grateful to those like you who do. And why your ministry is so important. <a href="https://twitter.com/SPhillipsAB">@SPhillipsAB</a> I knew I'd need a thick skin in politics, but never expected some of the comments I've received. In solidarity, sister.